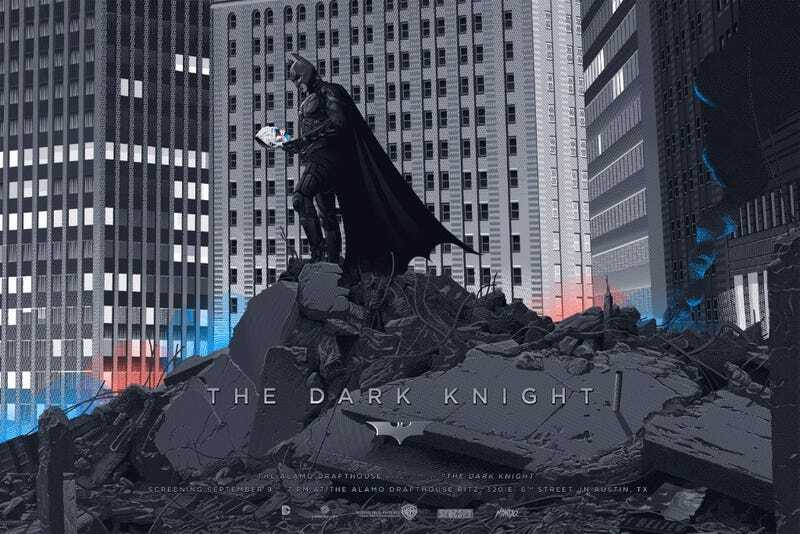 Christopher Nolan’s The Dark Knight came out almost eight years ago. That’s so long! But even though it’s box office dominance feels quaint by today’s standards, it’s still fantastic, and these posters will remind you why. That’s a 24 x 36 inch screen print in an edition of 425. It costs $60. Those both go on sale at a random time Thursday by following @MondoNews. At the same time, this will be on sale. That’s a 12 x 16-inch giclee of the Joker by Mike Mitchell costing $55. It’s a timed edition, so as long as you order one by Saturday, January 9, at 11:59pm CST, you’ll get one.